Plans for a new multimillion-pound road tunnel beneath the Thames have been updated to boost capacity. The whole route of the Lower Thames Crossing will be a three-lane dual carriageway rather than two lanes in some sections, according to the latest designs. 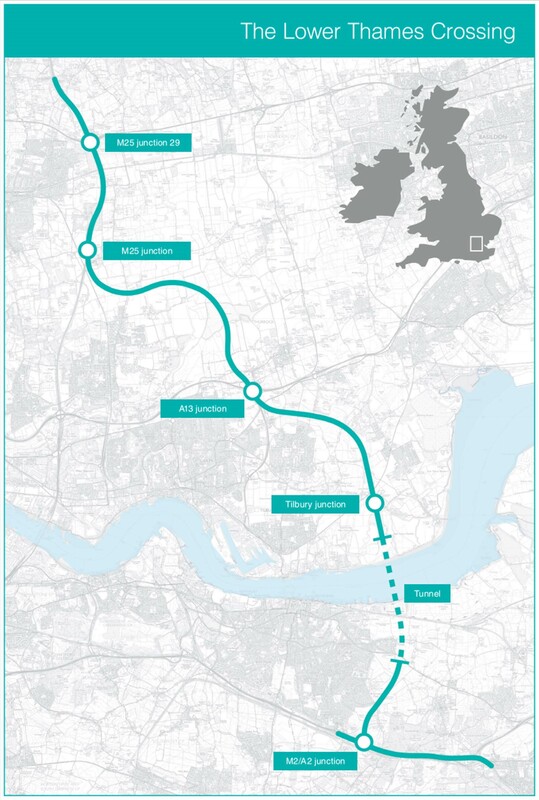 This will result in a 90% increase in capacity for traffic crossing the Thames east of London, compared with around 60%-70% under the previous two-lane plan, Highways England said. The scheme’s budget has risen to a range of £5.3 billion to £6.8 billion due to more detailed design work and ground investigations. A previous estimate put the range at £4.4 billion to £6.2 billion. – Lowering the road by up to six metres in places to reduce its visual impact. 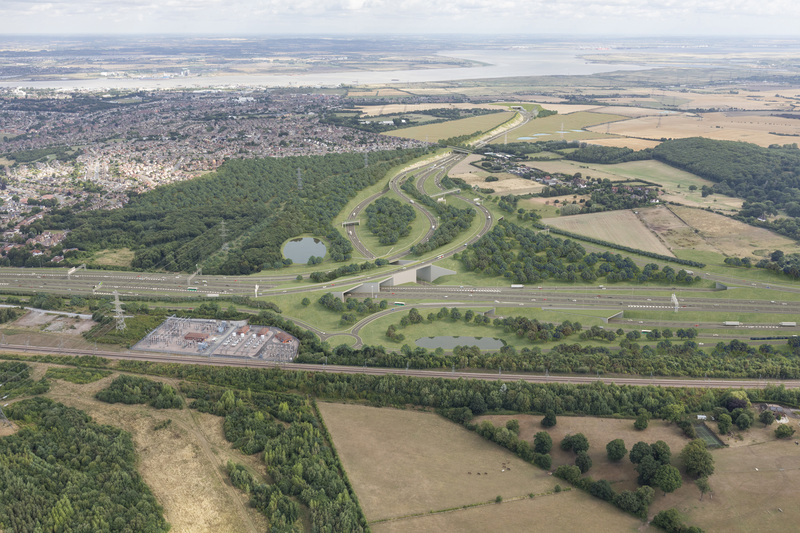 The 14.5-mile (23.3km) route is expected to open in 2025 and will connect the M2 near Rochester in Kent and the M25 in Essex between North and South Ockenden. It will include a 2.4-mile (3.9km) tunnel, which would be the UK’s longest road tunnel. This will be the first new crossing of the river east of London since Dartford’s Queen Elizabeth II bridge opened in 1991. The new crossing is expected to reduce traffic at Dartford by 22%. Public transport groups claim ministers should instead focus on improving rail links. Transport Secretary Chris Grayling said the crossing will “transform journeys, create new business opportunities in Kent and Essex and unlock productivity across the UK”. The scheme’s project director, Tim Jones, described it as “the biggest single road upgrade since the M25 was completed more than 30 years ago”. AA president Edmund King noted that the Seine in Paris has “almost twice as many river crossings as we have over or under the Thames” and said the proposed tunnel is “essential new infrastructure”.